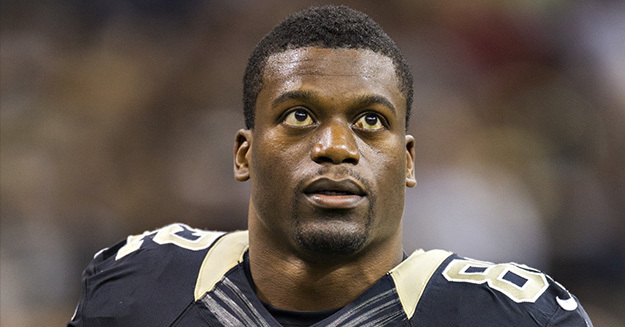 Benjamin Watson has been a solid, yet unheralded tight end for most of his NFL career. Known more for his blocking skills than his yards per game average or his receiving touchdowns, Watson has been the consummate teammate while playing for the New England Patriots, the Cleveland Browns, and now, the New Orleans Saints. But in his 12th year, the Norfolk, Virginia, native is experiencing something of a revival on the field. Just halfway through the season, Watson has already racked up 472 yards and three touchdowns. Prior to this season, he had recorded just two 100-yard games. In 2015, however, he has already matched that total including a career-best 147 yards in the Saints’ 52-49 victory against the Giants last Sunday. Watson is on pace to finish with career highs in receiving yards, receptions, and touchdowns. Over the past several months, Watson has also been gaining positive attention off the field for his inspirational social media posts that eloquently addressed racial tension in places like Ferguson, Missouri, and Baltimore, Maryland. His debut book Under Our Skin: Getting Real About Race has given him an even greater opportunity to utilize his growing platform. Watson was also one of the first professional athletes to show strong support for Woodlawn and it’s message of revival and reconciliation. “(Woodlawn is a) dynamic movie about the power of the gospel to bridge any racial or culture and the influence of sports to lead positive social change,” he said. Find out why athletes like Watson are singing Woodlawn’s praises. Don’t miss out on the opportunity to see this inspirational film while it’s still in theaters. Check out the listing below and experience what it looks like to stand up for your faith!